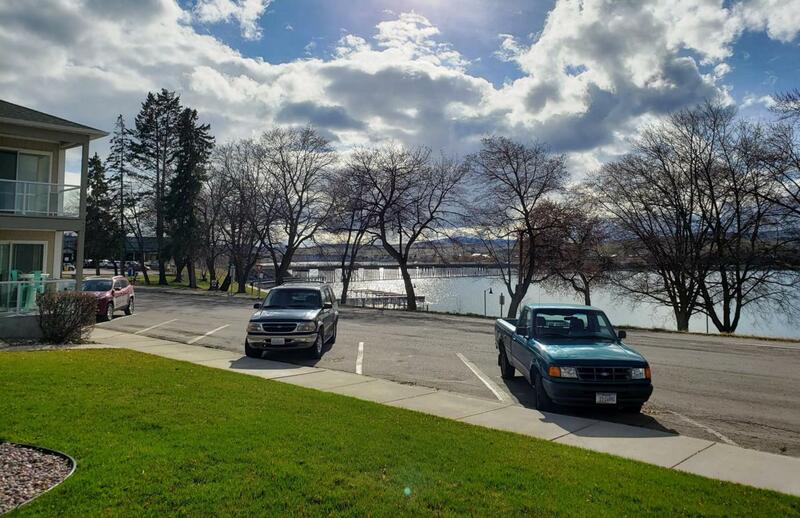 Excellent location in downtown Polson located directly across from Flathead Lake and Sacajawea Park. Groundfloor unit with sliding glass door to your patio overlooking the lake, facing west to enjoy the glorious sunsets. Great floorplan with excellent use of space in this 1 bedroom/full bath with ample storage condo. There is on-site laundry for the residents. This unit is currently leased and offers the opportunity to be rented as a short term vacation rental. Call Carol Tibbles at 406-253-2893 or your real estate professional. Documents On File Covenants Legal Description Sellers Prop. Disc.